Putin appoints new ambassador to U.S.
President Vladimir Putin appointed his former deputy foreign minister, Anatoly Antonov, as Russia's new U.S. ambassador, replacing Sergey Kislyak, per AFP. Antonov has been serving as acting ambassador to the U.S. since Kislyak's return to Moscow in June. Background: According to TASS, Russia's state-owned news agency, Antonov, 62, headed Russia's Foreign Ministry Security and Disarmament Department from 2004-2011, before serving as deputy defense minister from 2011-2016, during which Russia invaded Ukraine. 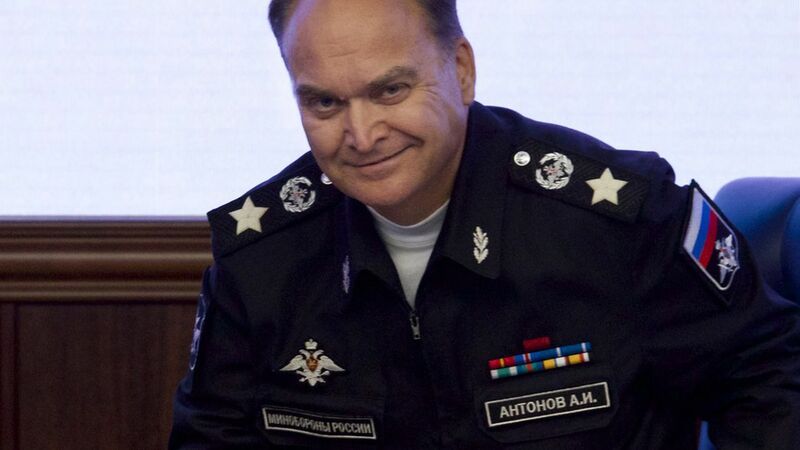 Antonov was later appointed as Putin's deputy foreign minister in December 2016. Why it matters: Kislyak, who served as Russia's U.S. ambassador for nearly 10 years, became a household name in recent months for his meetings with senior Trump aides during the campaign and transition. But Antonov, who according to AFP has a reputation as "a hardliner" and is seen as "a tough negotiator," will likely bring a new edge to Washington.